This golf cart was sold twice! With all of the proceeds going straight to the family of fallen police offer Clayton Townsend. PHOENIX — This golf cart was sold twice! Russo and Steele waived all of the fees so 100% of the proceeds could assist the family of fallen Salt River PD officer Clayton Townsend. The first bidder paid $30,000. Just as the vehicle was leaving the auction block, the new owner decided to donate the money straight to Deanna Townsend and allow a second bidder a chance at the cart. 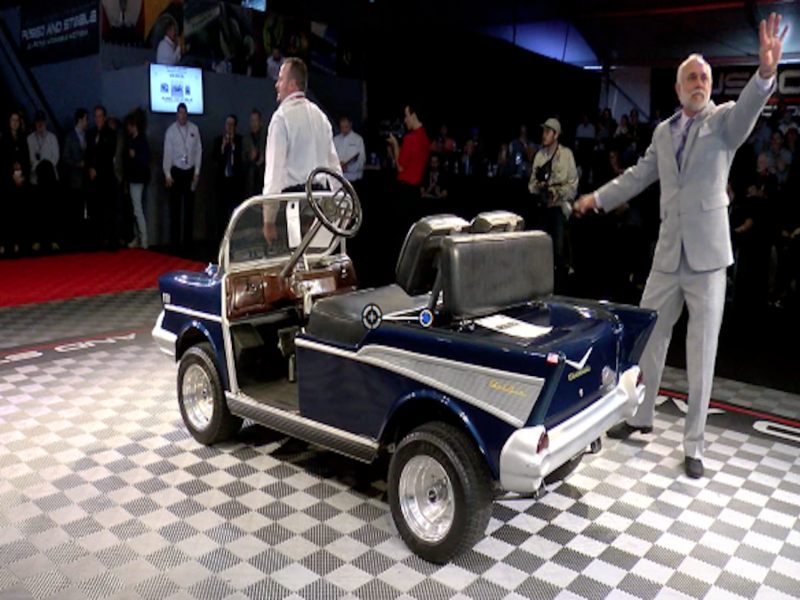 The golf cart was wheeled backwards onto the block for a second round of bidding. The floor was closed with an additional bid of $28,000. The entire room stood up as former officer Townsend's family was given a standing ovation and awarded $58,000. Watch the video above to see the craziness of the bidding war!